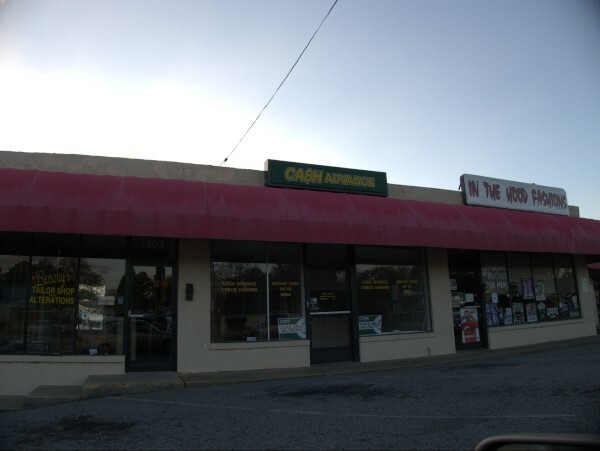 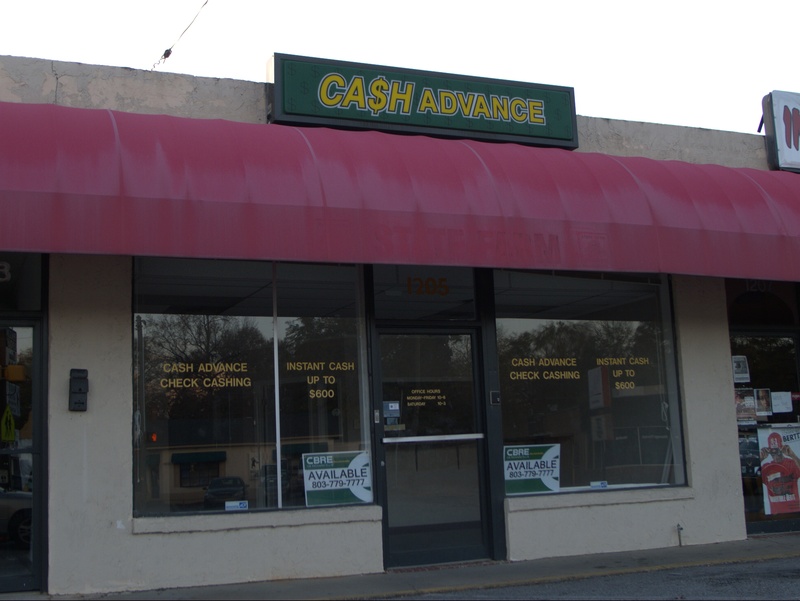 Here's yet another cash advance/check cashing operation that's closed up shop. This one is on Broad River Road about midway between Bush River Road and the Food Lion. I think there's a logical construction called a "Tautology" that probably fits here: There's not much money in people who don't have much money. 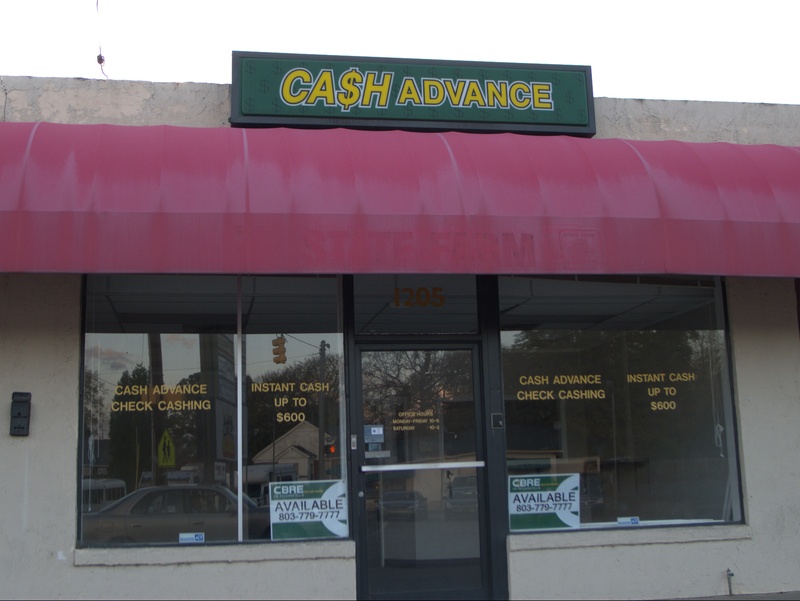 If you look closely at the awning (click-through), you can see the old State Farm banner and logo labelscar.